R. Mayo Flynt III is president of AT&T Mississippi, a position he has held since January 2007. As president, Mayo is responsible for AT&T’s operations in Mississippi including external affairs, regulatory affairs and public policy. 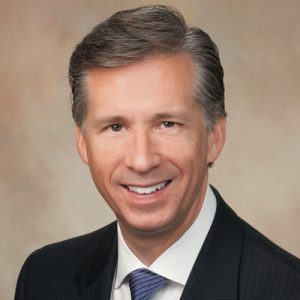 He is a past chairman of the Mississippi Economic Council, the Mississippi Partnership for Economic Development, Innovate Mississippi and the Greater Jackson Chamber Partnership, where he currently chairs the Lake Development Task Force. In addition to his involvement in these organizations, Mayo is chairman of the Mississippi Museum of Art board of trustees and a member of the Jackson Rotary Club.